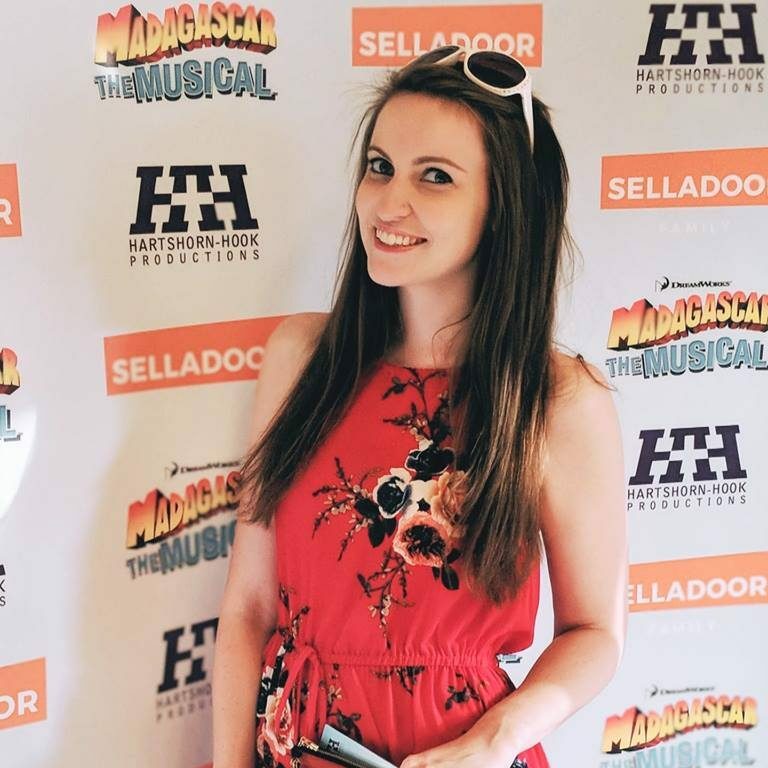 As part of the #LDNTheatreBloggers I know how great it is to meet with other theatre fans at blogger meet-ups and I was very lucky to be invited to the Churchill Theatre on Monday for another! Big thanks to Holly and the gang down there who put on a lovely spread and treated us to a night with the History Boys. The History Boys is one of those shows I’ve always needed to see and never got round to going so I was very excited when Sell a Door Theatre Company announced they were bringing a tour to the UK. I was sure it would be in trustworthy hands after seeing Avenue Q last year and just 15 minutes into the show I knew I was right. The plot follows a group of boys working towards the Oxford and Camrbidge entrance exams, coached by three different teachers all with very different methods and ideas. The set was simple yet had little details that gave it character, with books on the shelf and posters littering the walls. The cast rearrange the chairs between scenes whilst eighties classics blare out which was seamlessly done but also set the tone and scene, reflecting Irwin’s laid back teaching methods. The boys worked brilliantly together. Word perfect and bouncing off each other so naturally that you wouldn’t think it was a scripted show. The relationships between them were believable and there were friendships you could relate to. It feels almost wrong to pick individuals out of such a strong cast that worked in harmony throughout the show. Some standout performers to me were Matthew Durkan as Dakin, who you would not believe for a minute was the understudy. He had the precise casual smugness that the character needed. Steven Roberts as Posner also had some real standout moments, some of them laugh out loud and some serious and emotional showing a real depth to the character. Richard Hope who played Hector handled the role really well. I liked the journey he took us on through the show and he highlighted the contrast between his high-flying teaching lessons and hitting rock bottom as he faced being pushed out of the school. Overall the story told is one that grows on you slowly. It is built up well and doesn’t give too much away too quickly which keeps you hooked. It’s one of those shows that really makes you think and perhaps question a few morals. I love a show that does that to you and the History Boys ticked that box before the end of the first act. 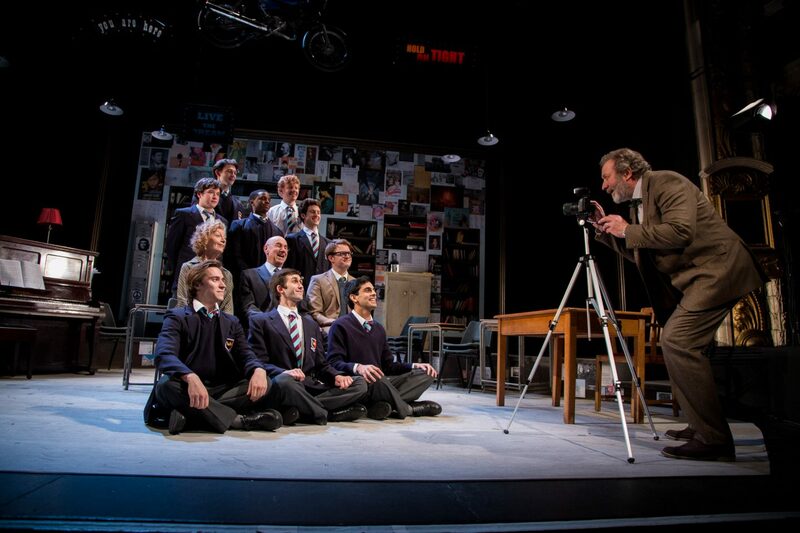 The History Boys is touring the UK until July and will be at the Churchill Theatre, Bromley until 2nd May. You can buy tickets on their website and if you quote ‘HISTORYPACKAGE’ through ATG you can get a band A seat, a programme and a drink for £25.